The most distilled answer I can provide is WordPress is a web based content management system (CMS). Your next question might be, what is a CMS? Again, the most distilled answer I can provide is a CMS helps users easily manage the creation and modification of digital content. There are lots of CMSs out there, but WordPress stands alone when considering many attributes and features that I explore below. 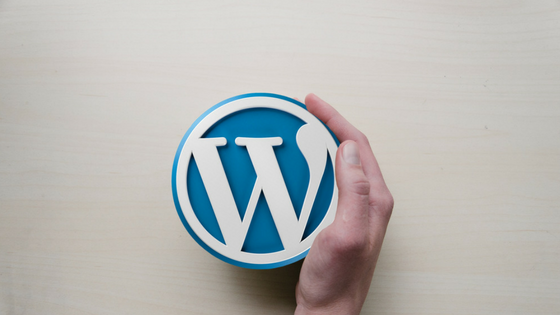 These features make WordPress by far the most popular CMS available today powering over 30% of all websites worldwide. Check that link. My guess is that since writing this article, that percentage has gone up. At conferences I hear twittering that creator Matt Mullenweg wants to drive that number up to over 50%. WordPress’s dominance in the CMS marketplace is hugely impressive and a real testament to how great this tool is for users. What are the attributes and features that set it apart? Here are 10 reasons why I think it is so great. Simplicity – Using a WordPress site is intuitive and allows all users to get online easily. Flexibility – Check out the WordPress showcase to get a taste of the different types of sites that can be made. Do you want a website to sell your product, market your business, showcase your art, blog about your life or career, publish a magazine, create an online membership site, or are you a large, complex government agency? All these site types are possible with WordPress. Publishing Ease – an owner of a WordPress website can easily publish content including content with graphics, photos, audio, and video. Multi-User – one WordPress site can have one or many contributors and those contributors can all have different access privileges depending on how they need to use the site. Customizable Designs – there are thousands of themes that re-skin your site in a few clicks to give your site an entirely new look and feel. Customizable Functionality – there are over 50,000 plugins that extend the functionality of your site. Social Engagement – Out of the box your site allows visitors to comment and engage with your content. Is visitor engagement not right for your site type? No problem it can be disabled site-wide with one click. SEO Friendly – you want your users to find your site, right? Baked in is Search Engine Optimization. Responsive and Accessible – More and more users are visiting your sites on their mobile devices. It is imperative that your sites look good and function properly on those devices, no matter the size of the screen. In addition, your site should be accessible to users regardless of their physical capabilities. The platform strives to be as inclusive in their platform functionality as possible. Security – WordPress is a secure platform. It is regularly monitored and security issues are addressed quickly. I built my first WordPress site in 2009 and have never looked back. I am so thankful that this website tool exists and I get the privilege of using it every day.